For many sports fans, part of the fun is buying slick new gear to rep their favorite team. If that’s you, New Era’s Official NFL Cold Weather Collection will catch your eye. The Cold Weather Collection comes in three different styles with a fleece lining and thermal properties. Plus, they’re available for all 32 NFL teams. This ensures you can match your personal game day style with the team you love. The New Era Official NFL Sport Knit includes the team name on the crown, an embroidered team logo on the front, and a pom pom on top. Likewise, New Era Official NFL TD Knit sticks with a simple design focusing on the team logo and is made with poly yarn knit. Finally, New Era Official NFL Women’s Knit uses a marled team color yarn with a team logo on the front. New Era’s really outdone themselves with its design, feel, and price point. At $28 each, you can afford to buy the perfect gift for the NFL fan in your life, especially if that fan is you. 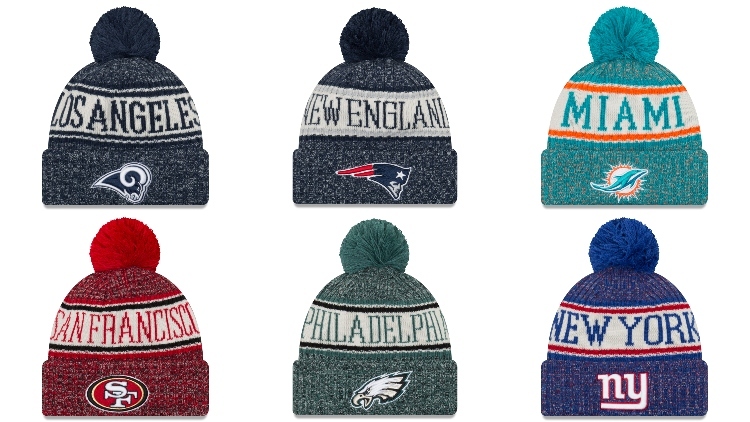 Have you already purchased something from New Era’s Official NFL Cold Weather Collection? If not, will you? Let us know in the comments!